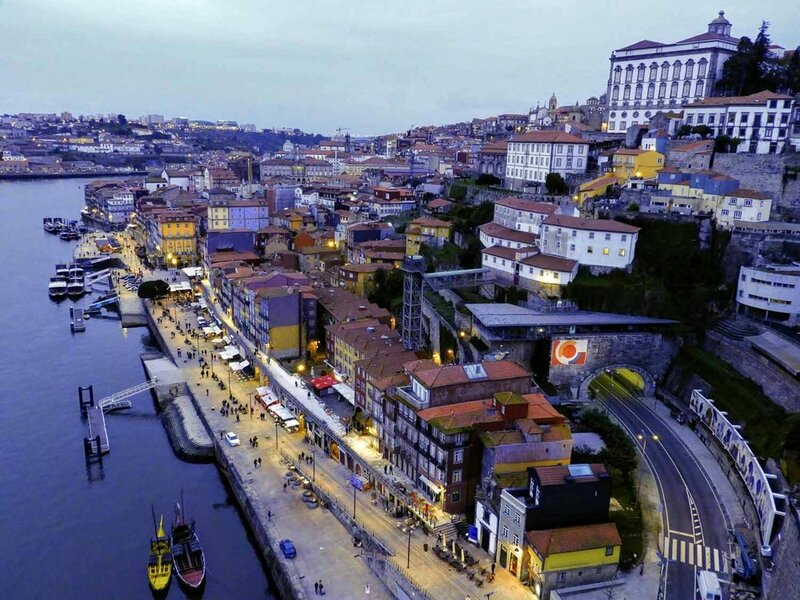 Of all cities in Portgual, Porto may just be our favorite. 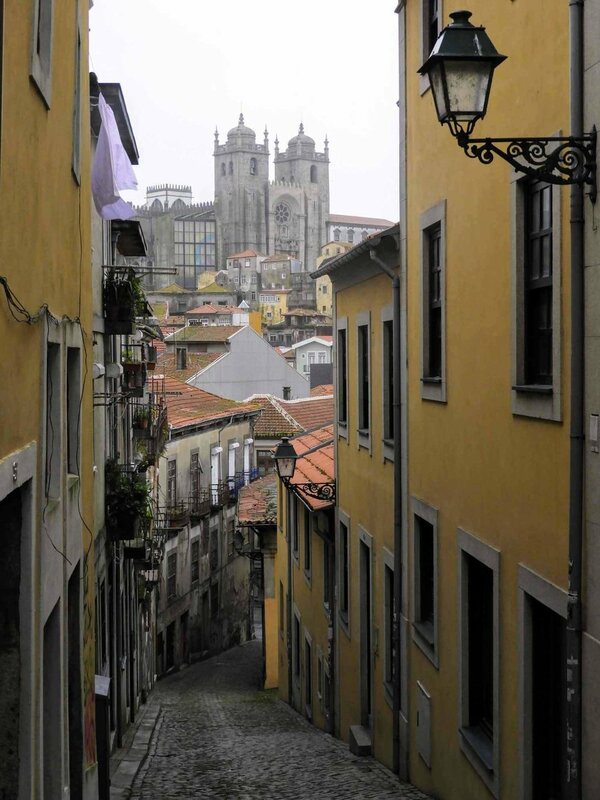 This charming, charismatic, coastal city is nestled along the Douro River. It is very compact, making it a very walkable city. It’s perfect for a weekend getaway. We LOVE it! If you only have the weekend, be sure to make Mercado de Bolhao one of your first stops because after 1:00 pm, it’s closed until Monday. This 19th century wrought-iron market is the place to get your local produce and fresh fruit. Although the hours aren’t as restrictive, another one of our first stops was to climbing the 250ft-high Torres dos Clerigos. We love getting lost in the tangled alleyways of Porto, but it we always enjoy getting a bird’s-eye view from above! We could spend all day exploring the Cais de Riberia waterfront along the banks of the Douro River. 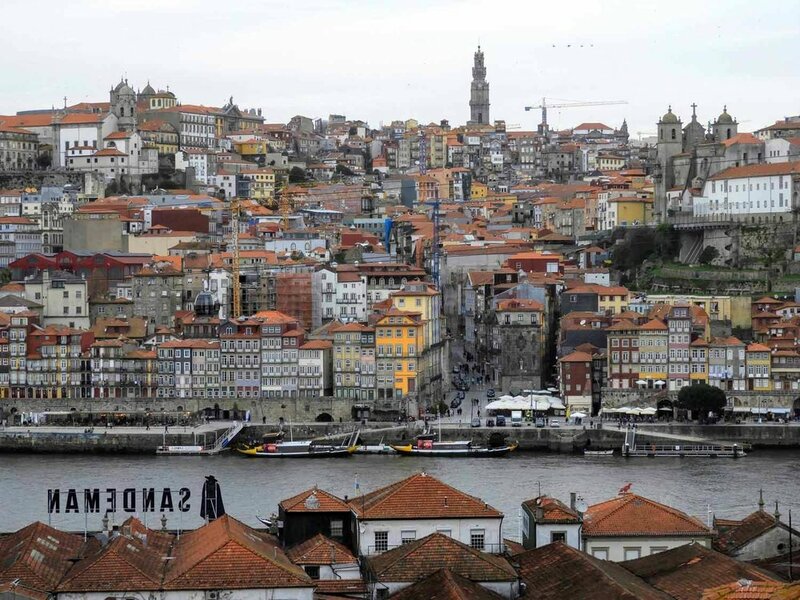 We love seeing the quaint row-houses stacked upon one another, admiring the 18th-century port-wine cellars across the way (originally caves which gave Porto it’s claim to fame), and watching the Rabelo boats rock back and forth in the breeze. It’s nice anytime of day, but there is something special about watching the sun set and gradually grow dark. Then the stars come out and the lights of the cafes sparkle against the water - it’s enchanting. Here, you can book Port Wine Cellar Tours and/or Douro River Cruises. Sadly, this is one thing we missed on our trip. If we were to go back again, this would be at the top of our list - especially if the weather is nice! The river cruises can last anywhere from 1 hr to a half day depending on the itinerary. Hands down our favorite thing to do in Porto is to walk the Dom Luís I Bridge, designed by Gustave Eiffel. 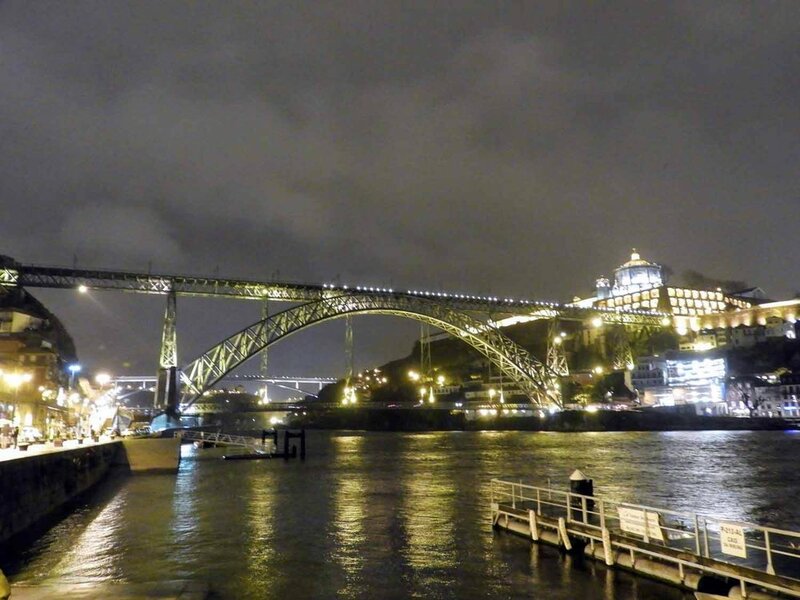 This iconic metal arched bridge is two-tiered and connects the city of Porto to Vila Nova de Gaia. The lower level is for vehicular traffic, and the upper level accommodates trains. Pedestrians can walk on both levels, so we recommend walking across on one and back on the other! If you have time, be sure to check it out during the day and also at night. Upon its completion in 1886, the Dom Luís I Bridge was the World's longest arch bridge with a span of 172 meters. 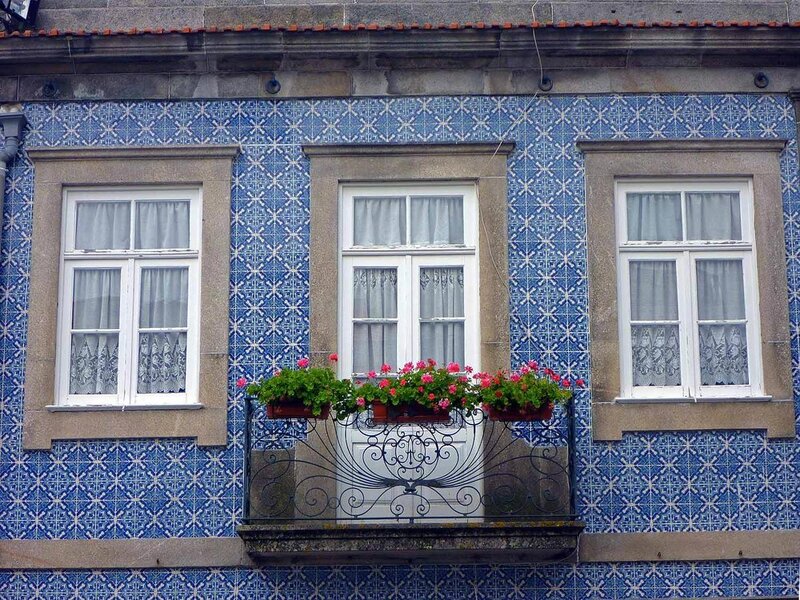 Azulejos (blue painted glazed tiles) are quintessentially Portuguese. 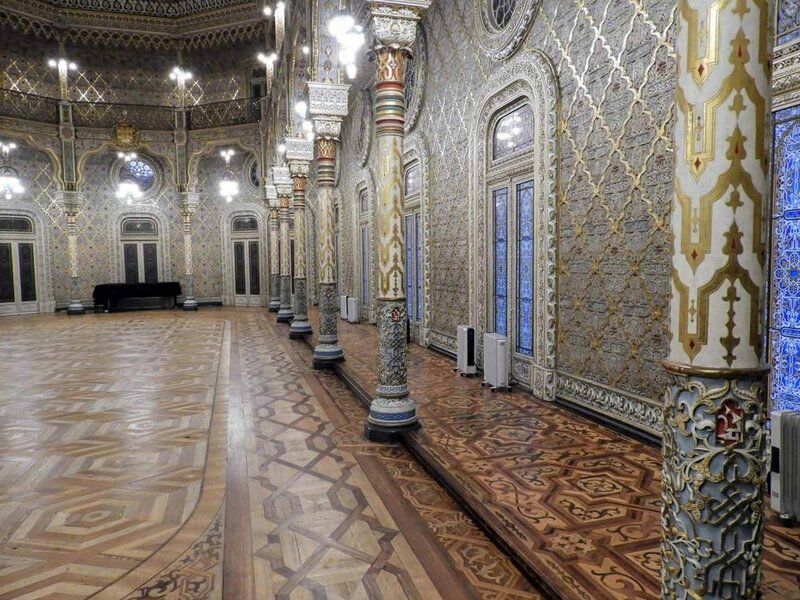 For impressive murals in Porto, be sure to check out the Sao Bento train station and the Capela das Alamas. Oh, how we LOVE Francesinhas. This typical Portuguese sandwich was born in the city of Porto when chef, Daniel da Silva, traveled to France to work and after returning, adapted the French croque-monsieur sandwiches to appeal to the locals. A Francesinha, meaning “Little French Girl” consists of thinly sliced wet-cured ham (linguiça), fresh sausage (chipolata), and steak sandwiched between two slices of bread. It’s covered in a mild melted cheese, topped with a fried egg, and is finally smothered in a delicious hot, tomato sauce. It’s basically a meat-lover’s grilled cheese sandwich on steroids. Be sure to eat it with some Guarana (fruit soda) and french fries. These probably have more calories than is needed for a whole day and they aren’t healthy whatsoever, but they are awesome (and cheap - you can usually get the sandwich, drink and fries for about 5 euro)! One of our favorite spots to indulge is Cafe Dragao, but you can find them just about anywhere in Porto. We were once lucky enough to find them at a Portuguese restaurant in Romania. It hit the spot! Another place in Porto frequented by J.K. Rowling, Cafe Majestic is a perfect stop for a step back into the roaring 20’s. Originally built in the 1840’s as a Stock Exchange Palace, we’d venture to say we enjoyed its impressive interiors more than Versailles! Designed by world-renowned architect, Rem Koolhaas, this uniquely faceted concert hall is located in the northwestern side of Porto and can be easily accessed by Metro. Although no tours were available when we stopped by, we wandered around inside a bit and explored the skate park just outside and as well as the nearby Rotunda. 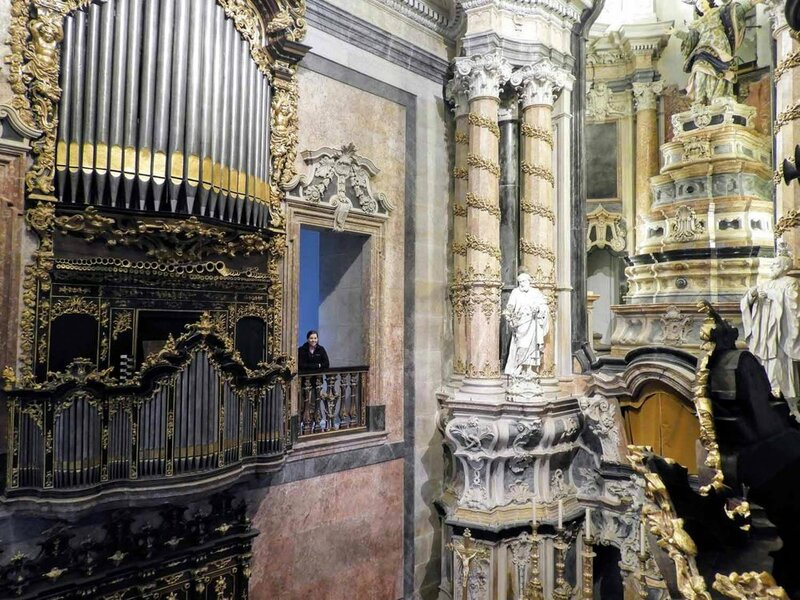 If music and/or architecture is your jam - be sure to stop by!